Back in the 80’s and 90’s, if you told us there was a pill you could take that would prevent HIV/AIDS, the news would have been met with great celebration, overwhelming interest, and huge media coverage. So why not now? Why has the news about a medical breakthrough in HIV prevention been so cautious, so quiet? HIV has not gone away. 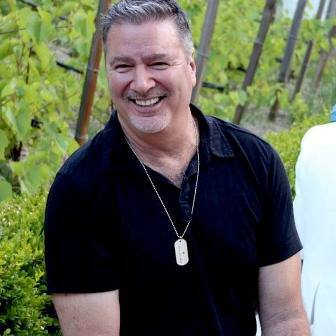 Although the health outcomes of someone living with HIV are so much better today, the number of new cases has not gone down, people are still getting HIV, and there are more people today living with HIV in Sonoma County than ever before. The risk of getting HIV is still very real. In June, 2012 the FDA approved the drug Truvada for use as a preventative for HIV infection for those at risk, Pre-exposure Prophlyaxis (PrEP). It had already been shown to be very effective as a post-exposure treatment (PEP) when taken in the first 72 hours after exposure. Then in May, 2014 the CDC recommended Truvada as an effective prevention option. And yet, the number of people getting prescriptions for PrEP is quite small, even in communities of people who are significant risk of getting HIV. In the Gay community there has even been stigma attached to taking PrEP with names like Truvada Whore attached to those taking the drug. This stigma, akin to that of the early years of birth control, has the unfortunate effect of suppressing healthy dialogue and discouraging those who would likely benefit. A couple of months ago, we put together three community forums here in Sonoma County about PrEP. Although many service providers attended and learned more about it, there were almost no individuals present to explore the option for themselves. Perhaps it was too soon, or maybe it’s too personal an issue for a public dialogue. But I’m willing to bet we would have had a full house 10 or 20 years ago! Let me break right here for a full disclaimer: Although I am an HIV Test Counselor and educator, I have no medical degree or training, and am not recommending that everyone use PrEP. This is a conversation that anyone interested should have with their doctor. It’s a very personal decision, and you need to figure out if it’s right for you. How effective is PrEP? 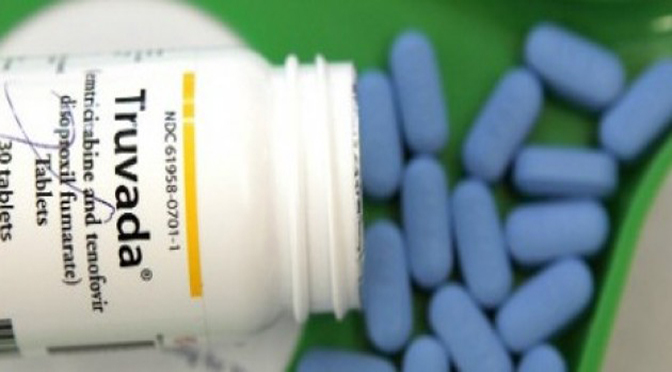 The latest studies show that Truvada is more than 90% effective of preventing HIV infection when taken daily. It needs to be taken daily to work! You can’t just take it on the weekends when you’re sexually active, or every other day to save money. How expensive is it? It aint cheap, and this may be a barrier, but many insurance plans and MediCal are covering the cost of the prescription, and there is also a medication assistance programs from the manufacturer. What about side effects? Most people have few or minor side effects that go away in a couple of weeks. Truvada can affect some people’s kidneys, so your doctor will monitor you kidney function to make sure you’re OK.
Is it PrEP vs condoms? No, studies show that many people using PrEP have increased their use of condoms. For them it is another layer of protection. Some people have stopped using condoms when on PrEP. Some were not using condoms consistently before, so with PrEP their level of protection has dramatically increased. How do I find out more? Check out this info –http://www.projectinform.org/prep/ and http://prepfacts.org/ Come in and talk to one of our HIV Test Counselors, and pick up some info. And get a free HIV test while you’re here – results in just 20 minutes. Here’s an interesting article in Newsweek. 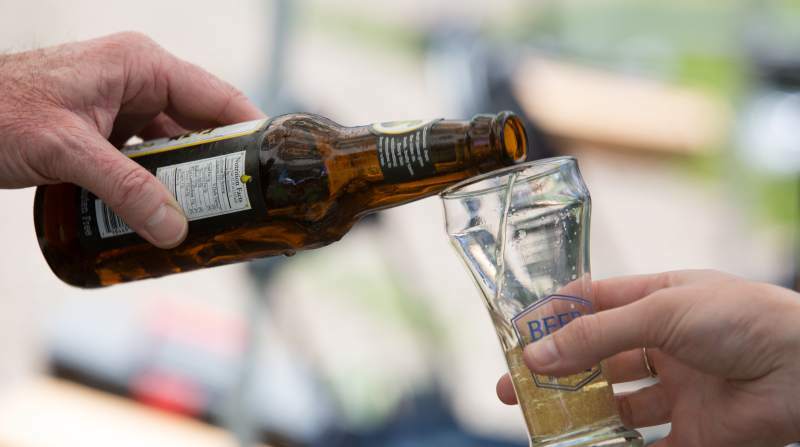 Each year, Beerfest is an extravaganza with more than 60 of Northern California’s best craft breweries featuring over 120 unique brews. VIP tickets enter the festival one hour before the general admission guests and take home a collectible mug. Face to Face provides free HIV prevention education to more than 1000 Sonoma County middle and high school students. Our Speakers Bureau brings a health educator and HIV-positive speaker to meet with students for an unforgettable and informative presentation. 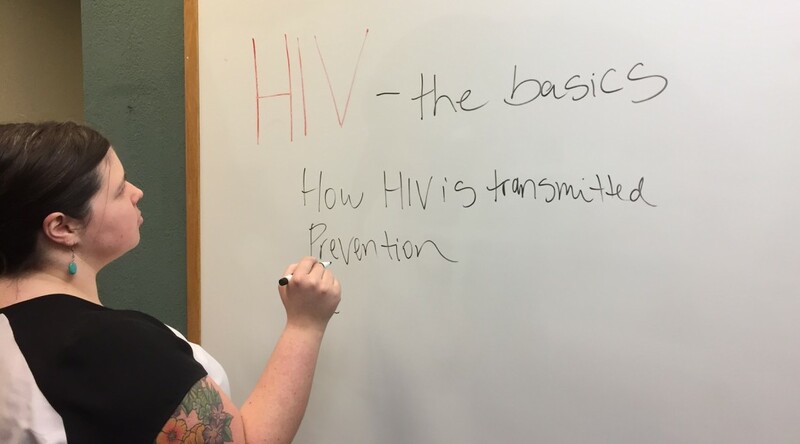 Our health educator covers the basics—teaching students about HIV and how transmission can be prevented. Our HIV-positive speaker connects with students on a personal and emotional level, helping to get a message across in a way that informs, inspires, enlightens, and reduces the stigma surrounding HIV/AIDS. Sign up to learn more about becoming a F2F Speakers Bureau Health Educator and/or Positive Speaker. We will be hosting a free training where you will become equipped with the tools to present the content of our free HIV prevention education series to students in Sonoma County middle and high schools. A special training for school teachers and administrators will take place on Tues., April 4, from 3-4:30 pm in Santa Rosa. 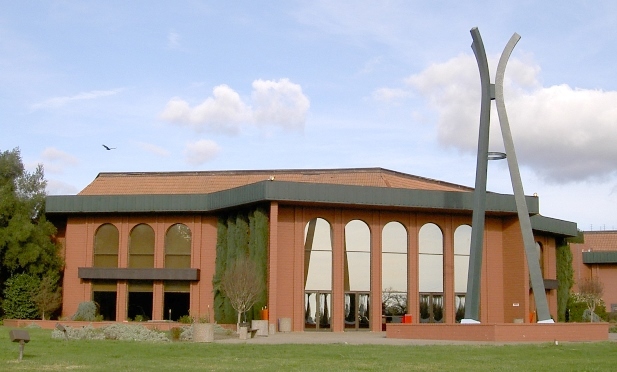 A training for non-educators will take place on Wed., March 29, from 2-4pm in Santa Rosa. 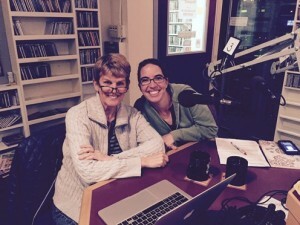 The Speakers’ Bureau is made possible in part to a grant from Sonoma Wine Country Weekend. Face to Face presents the program to students in Santa Rosa with support from the Ernest L. and Ruth W. Finley Foundation. How were you referred to the F2F Speakers Bureau? 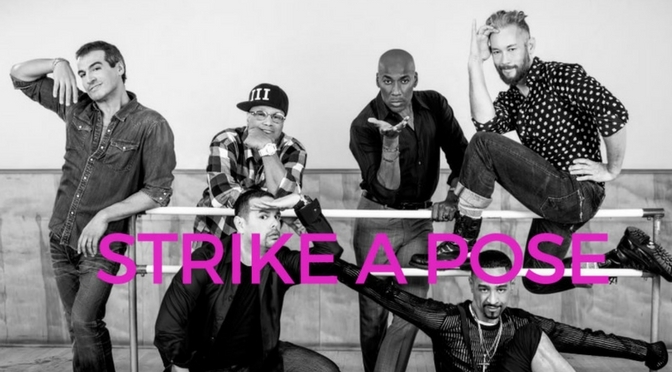 Strike a Pose is a unique documentary that brings together the surviving dancers from Madonna’s Blonde Ambition Tour at the height of her fame in 1990 which was chronicled in the acclaimed documentary Truth Or Dare. But despite having the word Truth in its title there is much that wasn’t discussed in that film because the dancers were not ready to talk about themselves. Now the remaining six have been reunited in this powerful story about truth, love, sexuality, and HIV. Proceeds from the movie benefit F2F HIV prevention & care services programs. Visit Rialto Cinemas Sebastopol for more details. F2F movie night at Rialto Cinemas in Sebastopol is back and it is an Absolutely Fabulous affair! 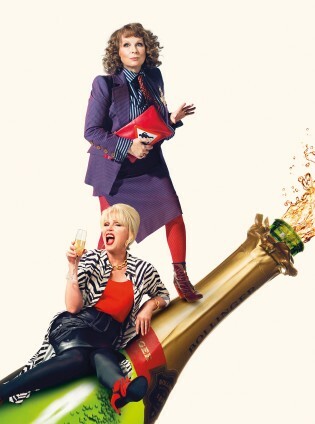 Movie synopsis: Appropriate for their big screen debut, Edina and Patsy (Jennifer Saunders and Joanna Lumley) are still oozing glitz and glamour, living the high life they are accustomed to; shopping, drinking and clubbing their way around London’s trendiest hotspots. Blamed for a major incident at an uber fashionable launch party, they become entangled in a media storm and are relentlessly pursued by the paparazzi. Fleeing penniless to the glamorous playground of the super-rich, the French Riviera, they hatch a plan to make their escape permanent and live the high life forever more! Like you, our clients, staff, and volunteers have been devastated by the fires which swept through our beloved county in early October. Our compassionate team of professionals kept the doors open during the week of the fires, fulfilling our mission through limited services. Even with these recent losses, we have never been more optimistic about the future. We will rebuild. We are #SonomaStrong. At Face to Face our focus is on beating HIV. We have tremendous hope: rates of new HIV infections in the county are on the decline for three consecutive years. And, with continued focus, together we can get to ZERO new HIV infections in Sonoma County in the very near future. HIV medications are working as prevention: The FDA’s approval of Truvada as PrEP (Pre-exposure Prophylaxis)–taken once a day by HIV-negative individuals–has proven up to 99 percent effective at not transmitting HIV. Astounding results when you consider condom use at only 78 percent. Not everyone who is at risk for HIV in Sonoma County is on PrEP or necessarily know their HIV status. Therefore, we provide free, anonymous and confidential HIV testing at our office and in the community. During each test counseling session we offer PrEP referrals to HIV-negative individuals. You make our HIV prevention services possible. We know that you are being called upon more than ever with requests for your volunteer time and financial support. Thank you for considering making a gift to Face to Face on #GivingTuesday–a national day to kick-off the end of year giving season. North Bay Stage Company cordially invites F2F Clients to enjoy the show! Choose one of these dates: May 1, 2, 8, 9, 10, 15, 16 or 17. Shows start at 8pm all dates except for matinees at 2pm on Sunday May 10 and 17. Please contact your case manager for tickets. 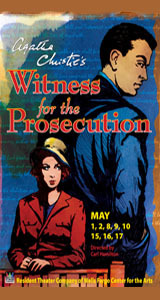 Witness for the Prosecution – based on a short story by Agatha Christie, North Bay Stage Company is proud to present the story that deals with the trial of a man accused of murder of a wealthy older widow, named Emily French. Since Mrs. French made him her principal heir, not aware that he was a married man, things look bad for Leonard’s defense. But the final blow come when someone close to him agrees to testify, not in Leonard’s defense, but as a witness for the prosecution. F2F Programs Director Meghan Murphy, pictured on the right, participated in an informative radion discussion with West County Health Centers’ HIV Medical Director Dr. Michelle Davey. Hosted and moderated by Greg Miraglia, the conversation was centered on the use of the drug Truvada as a strategy to prevent the spread of HIV. The panelist also discussed the efficacy of PrEP and what it takes in Sonoma County to obtain a prescription. In partnership with the AIDS Legal Referral Panel, we are hosting this free workshop for people living with HIV/AIDS to complete Wills, Advance Healthcare Directives and Powers of Attorney. All documents will be notarized for free. Please RSVP to your Case Manager by calling 707.544.1581. All documents will be notarized for free. 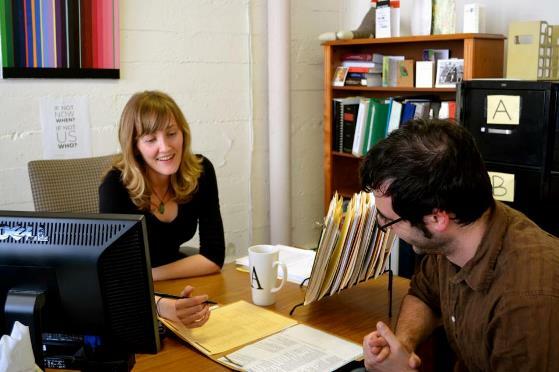 The AIDS Legal Referral Panel is a nonprofit organization that helps people living with HIV/AIDS maintain or improve their health status by resolving their legal issues. The film is based on the popular short film “I Don’t Want To Go Back Alone” which received over 82 awards in festivals worldwide and has more then 3 million views on YouTube. Leonardo is a blind teenager feeling overprotected by all of those around him. Struggling towards a more independent life, he has to overcome the vulnerability orbiting his condition. At home, his mother won’t let him do things by himself, or even be alone. 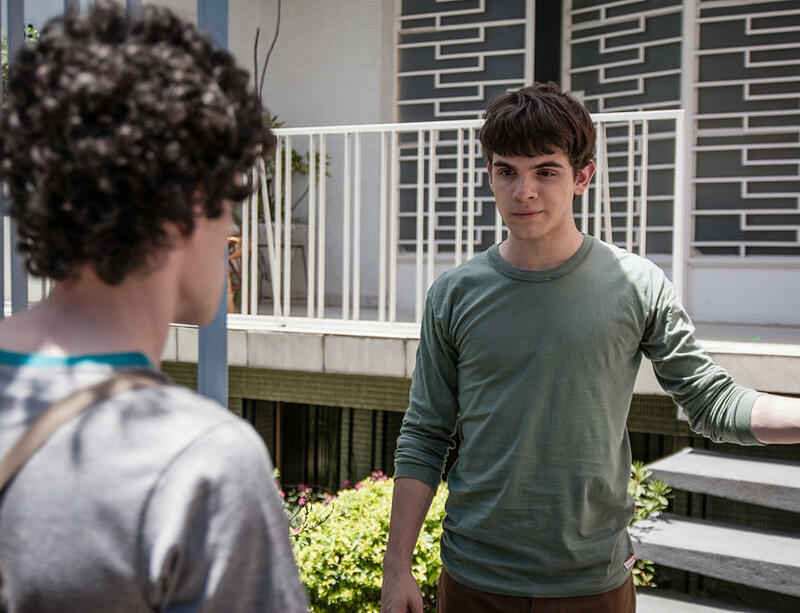 At school, his best friend, Giovana, leaves no room for him to stand up for himself before all the bullying. Besides, he’s never been kissed and is pretty confident that no one would consider dating the blind kid.